Are you tired of winter? You need to think about spring and maybe you should give Tuscany a thought. Maybe this will help to brighten your spirits a bit. 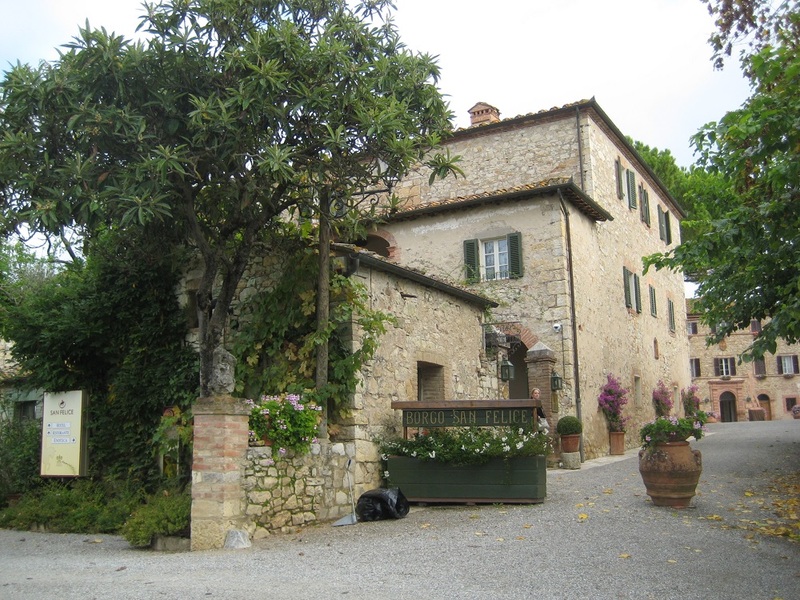 To continue my review on beautiful hotels in Tuscany let me introduce you Borgo San Felice. Felice in Italian means happy! Who would not be happy here? You are surrounded by vineyards as far as the eye can see with beautiful and scenic hills. It is truly divine. A paradise right in the middle of Chianti country! Each, of the 46 rooms are beautifully decorated. A swimming pool which overlooks Tuscany, a billiard room with a full bar: a tennis court and bikes and vespas to rent. The restaurant, Il Poggio Rosso, offers extraordinary Tuscan cuisine prepared by their Michelin star chef, Francesco Bracali. He uses only be the best local ingredients. Compliment your dinner with a great selection of Italian wines. You will not be disappointed. Want to have a wine tasting in the Cantina? They would love to arrange that for you. Also as of the spring they will be offering cooking classes. This is an exceptional hotel in the heart of Tuscany that should be on your list of places to stay in Italy. I cannot wait to go back! Need I say any more!